Description:The camera is looking northwards up Piccadilly towards Stafford Street from the Pall Mall crossroads. On the right hand side, the Gaumont cinema started life in 1929 as the Regent, became the Gaumont in 1950 and was renamed the Odeon in 1976. The cinema finally closed in 1989, with the opening of the cinema complex in Festival Park. Originally able to seat 2000, the Gaumont became a popular venue for live "pop concerts" in the 1960s. The building was refurbished as part of the city's Cultural Quarter and reopened as The Regent Theatre in 1999. Built in the Art Deco style, the theatre is grade II listed. 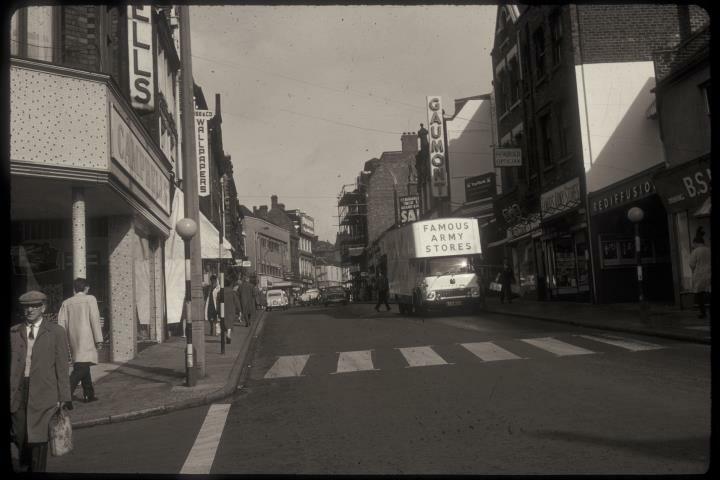 Piccadilly was always an important shopping street in Hanley. On the right was BSM (the British School of Motoring), next door to Rediffusion, selling and leasing televisions. 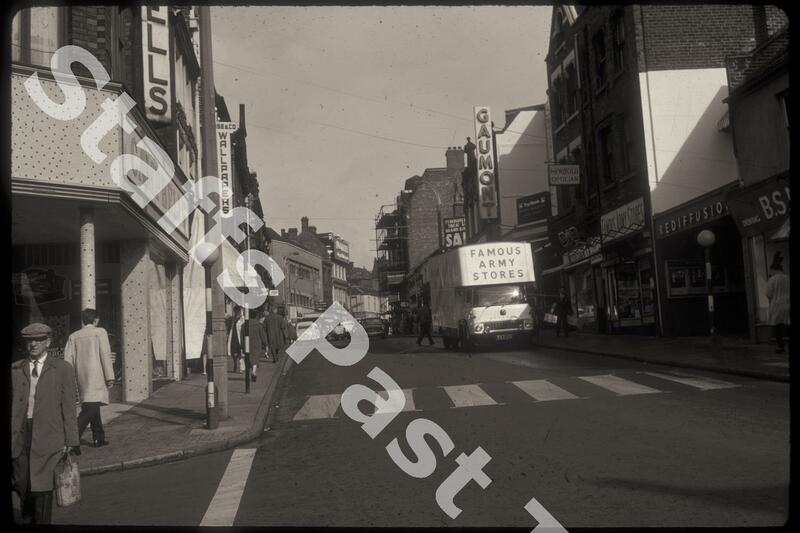 Further up on the same side were Famous Army Stores and Newbold Opticians. On the corner, Campbells was a home furnishings store. Piccadilly has been pedestrian street and traffic free.